Greene was inactive for Sunday's loss to the Texans and caught six of eight targets for 60 yards in 2018. Analysis: Greene saw a minor offensive role over the previous five games with D.J Chark (quad) sidelined, but the latter's return Sunday made him a healthy scratch. The 26-year-old played eight games with the Jaguars, and unlike his previous stints with the team, he was barely utilized as a punt returner. 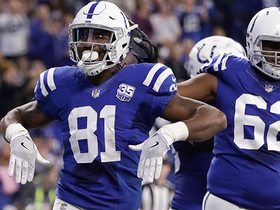 Greene enters 2019 as a free agent and is likely to serve as a depth receiver and possible return man with his new team, assuming he is able to crack the 53-man roster. 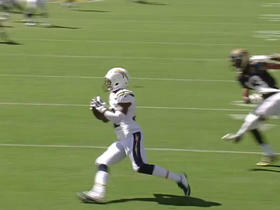 Greene caught one of two targets for 10 yards in Thursday's 30-9 loss to the Titans. 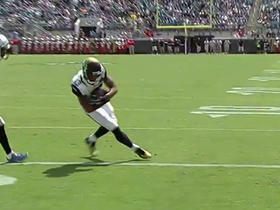 Analysis: Green also returned two kickoffs for 43 yards and has been working as the Jaguars' No. 4 wide receiver with D.J. Chark (quad) sidelined. The 26-year-old has four receptions for 38 yards in six games, and isn't worth fantasy consideration as a depth receiver in an unstable offense. Greene caught his lone target for eight yards in Sunday's 20-7 loss to the Texans. Analysis: The catch is Greene's first since Week 7 of the 2016 season, as he re-signed with the Jaguars this week after Jaydon Mickens broke his ankle. The 26-year-old sits in the No. 5 spot on the depth chart at wide receiver and has no fantasy appeal at present. Greene signed with the Jaguars on Monday, John Oehser of the Jaguars' official site reports. 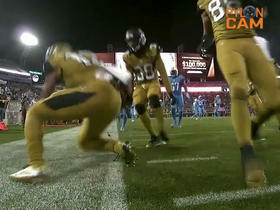 Analysis: The move came after Jaydon Mickens broke his ankle and was placed on injured reserve. 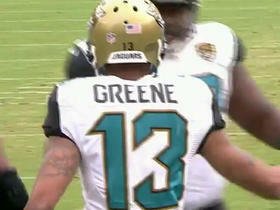 Greene spent four games with the Jags earlier this season, but he was a healthy inactive for each one before being cut. Barring additional moves, Greene is expected to make his season debut in Week 7 against the Texans. The Jaguars waived Greene on Saturday, John Oehser of the Jaguars' official site reports. Analysis: Greene was on the roster for three of the four games Jacksonville has played this season, but did not see any time on the field. 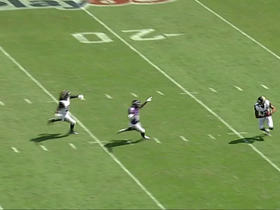 He was let go in order for the team to add depth at cornerback. The 26-year-old will either look for a new opportunity or revert to the team's practice squad. Greene re-signed with the Jaguars on Monday, Daniel Popper of The Athletic reports. Analysis: A roster spot opened up for Greene following offensive lineman Cam Robinson's (torn ACL) placement on injured reserve. It remains unlikely that Greene will have a role with the offense, but there's room for his contributions on special teams. Greene was let go by the Jaguars on Saturday, John Oehser of the Jaguars' official site reports. Analysis: Greene was released to make room for running back Brandon Wilds. A backup receiver throughout his NFL career, Greene was a healthy scratch in Week 1 and his absence shouldn't impact the offense greatly against New England on Sunday. Greene is a coach's decision inactive for Sunday's game against the Giants, John Oehser of the Jaguars' official site reports. Analysis: Greene appears to be near the end of the depth chart at wide receiver in Jacksonville. With the team facing only a few injuries ahead of Week 1, he draws the short straw and won't see the field until Week 2 at the earliest. 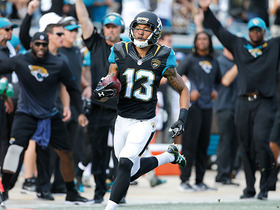 Greene had a 56-yard punt return late in the fourth quarter to set up the Jaguars' game-winning touchdown in Saturday's preseason game against the Vikings. Analysis: Greene again provided little offensive production -- catching one of three targets for four yards on 30 snaps -- but delivered a clutch punt return with just over two minutes left in the game, coming up only four yards short of a touchdown. Special teams will continue to be the area where the 25-year-old can earn himself a roster spot, and Saturday's timely effort is a good way to leave an impression. 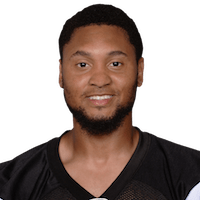 Greene led all Jaguars receivers with 34 offensive snaps in Saturday's preseason game against the Saints, catching two passes for 13 yards and returning two kickoffs for 42 yards. Greene consistently got open during OTAs and mandatory minicamp, ESPN.com's Mike DiRocco reports. Jackonville Jaguars wide receiver Rashad Greene fumbles the ball that helped seal a win for the Indianapolis Colts. Jaguars wide receiver Rashad Greene evades defenders as he returns a punt for 42 yards. Jacksonville Jaguars QB Blake Bortles picked off by San Diego Chargers cornerback Casey Hayward, for their third turnover in the first half. 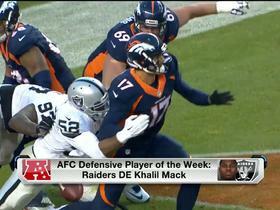 The "NFL HQ" crew reveals the best offensive and defensive players of Week 14. Jaguars Rashad Greene returns a punt by Colts Pat McAfee 50 yards for a touchdown. Jaguars Blake Bortles to Rashad Greene for a 2-yard touchdown. 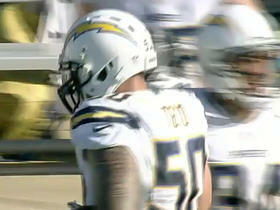 San Diego Chargers linebacker Manti Te'o intercepts Blake Bortles.